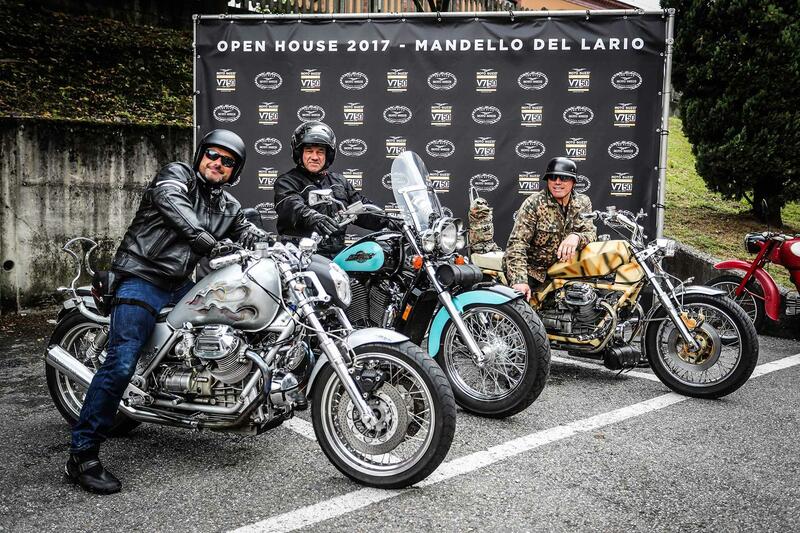 Moto Guzzi Open House 2018 returns for the third time running at the historic Mandello del Lario factory in September. Thousands of Brand of the Eagle enthusiasts are set to invade the factory, with opportunities to sit on some new bikes, visit the opening of the new Moto Guzzi Museum and shop the Italian firm’s merchandise. During the course of the weekend fans can also register for free test rides. The Moto Guzzi Village, which will be erected especially for the event, has been set as the meeting point for this registration, with further opportunities to try out models in the range. Starring in this line up is the Moto Guzzi V7 III Special and if you’re particularly interested you also join the Guzzi community by becoming one of The Clan. Join the 30,000+ members here today: www.theclan.motorguzzi.com. Expect entertainment and lots of great food and drink, too. Last year, the second instalment saw over 15,000 riders attend the Lake Como event to show their support. Punters travelled from all over Europe to visit and celebrate 96 years since the first production Moto Guzzi was released. MCN also tested the new Moto Guzzi V7 III Special last year and proved the best V7 yet. As the third generation V7, the 2017 bike is a beautiful example of a relaxed retro with modern refinements. Read the full MCN review of the Moto Guzzi V7 III Special. Moto Guzzi Open House opens between 7-9 September, Parodi 57, Mandello del Lario. Visit www.motoguzzi.com for more.